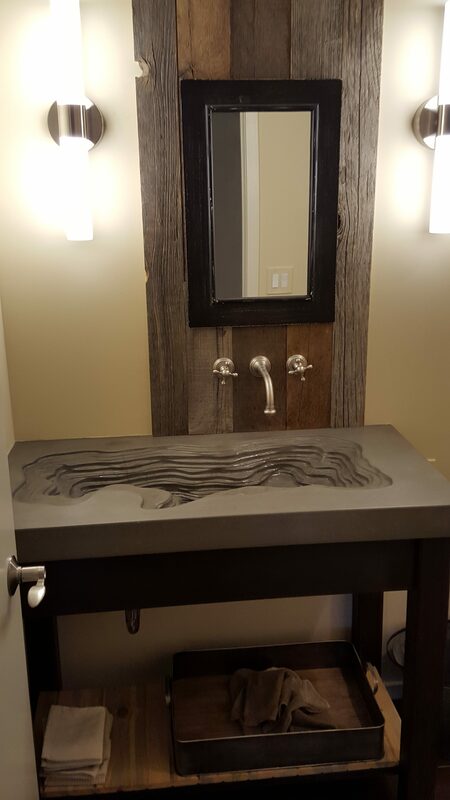 Colorado mountain modern. 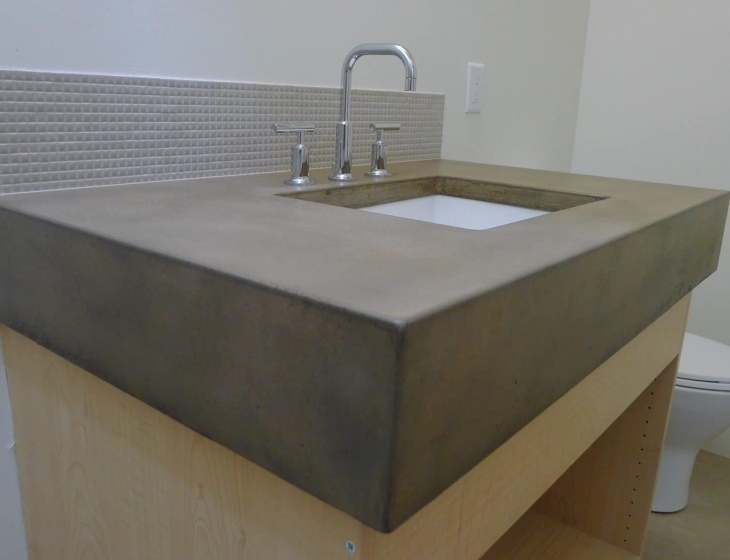 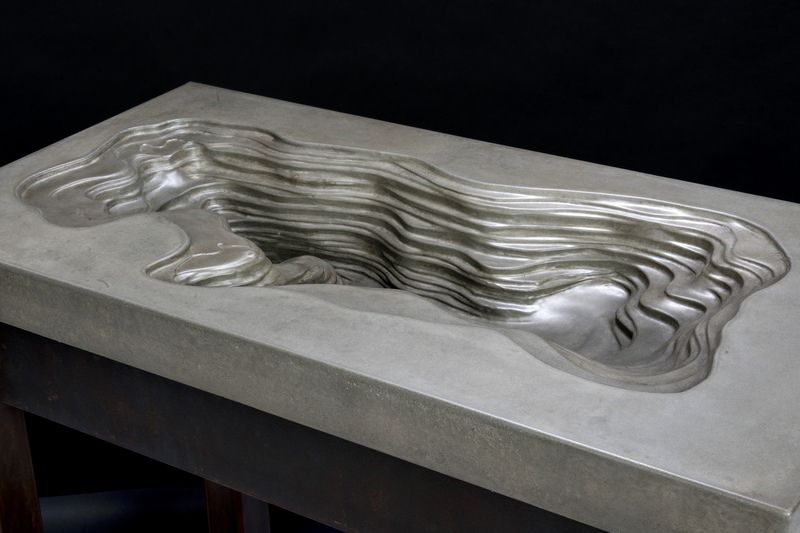 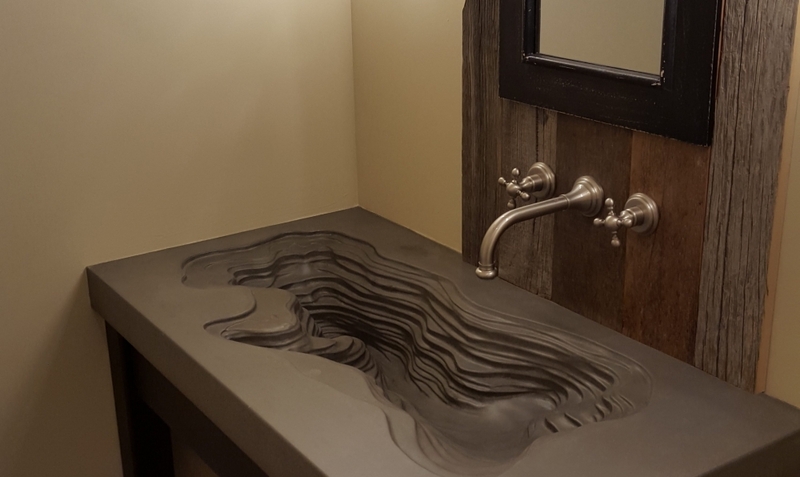 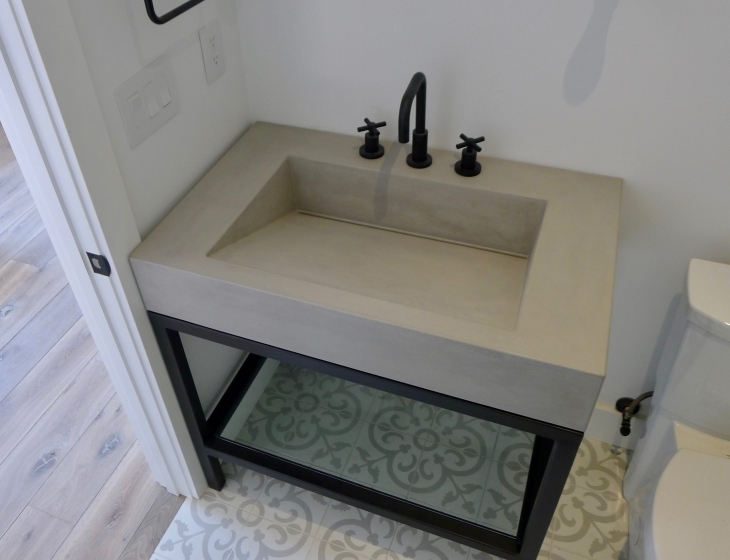 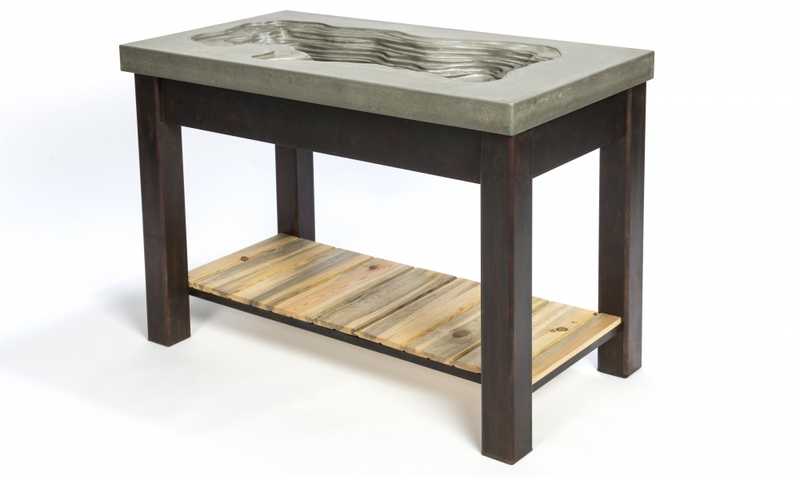 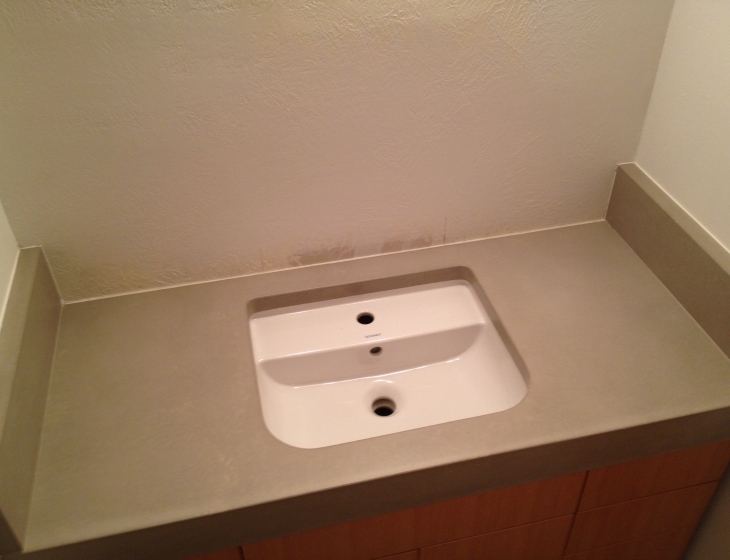 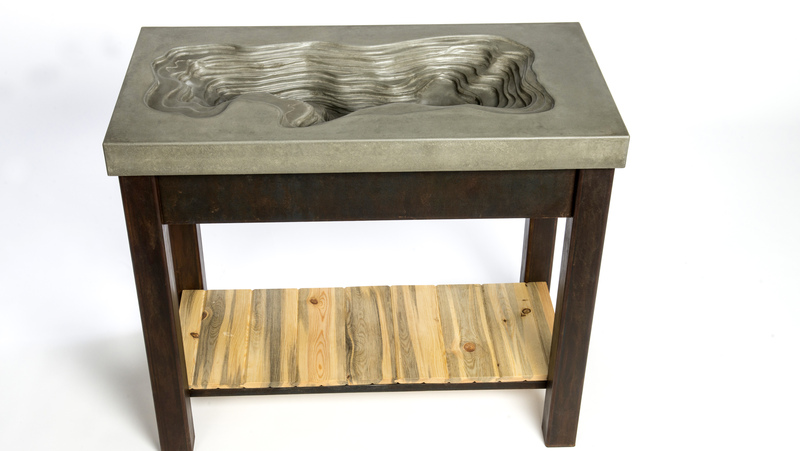 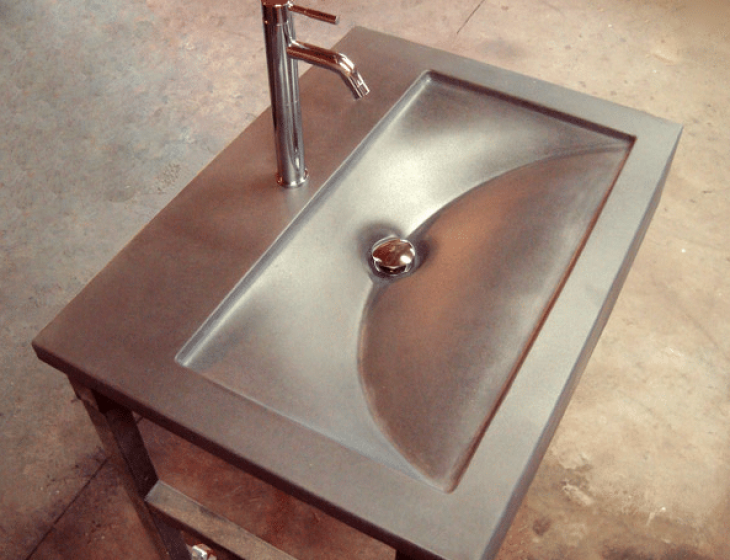 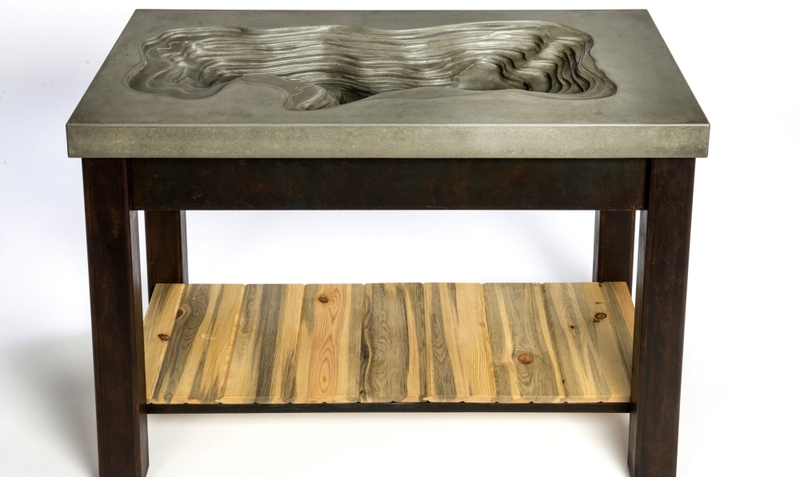 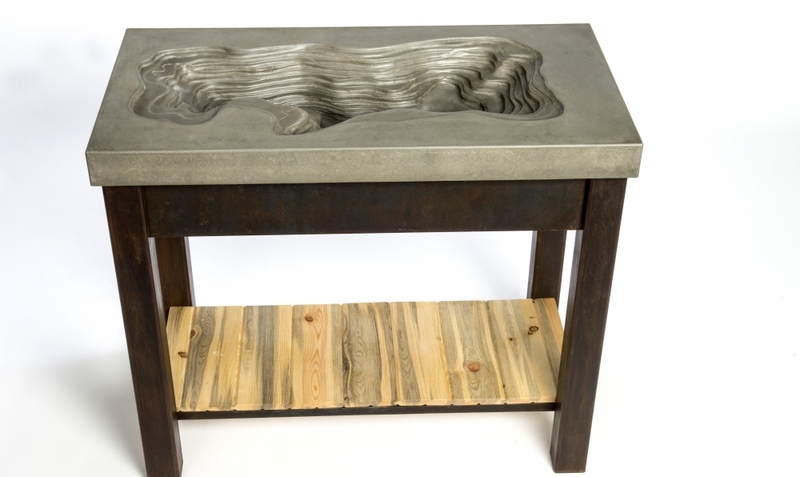 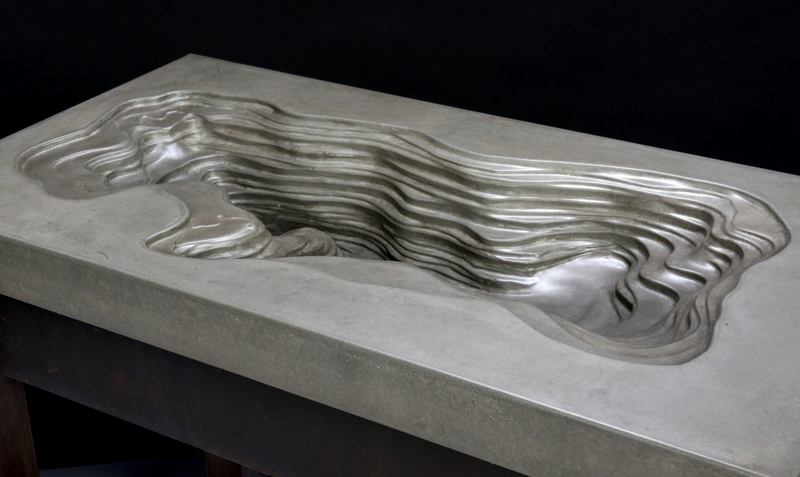 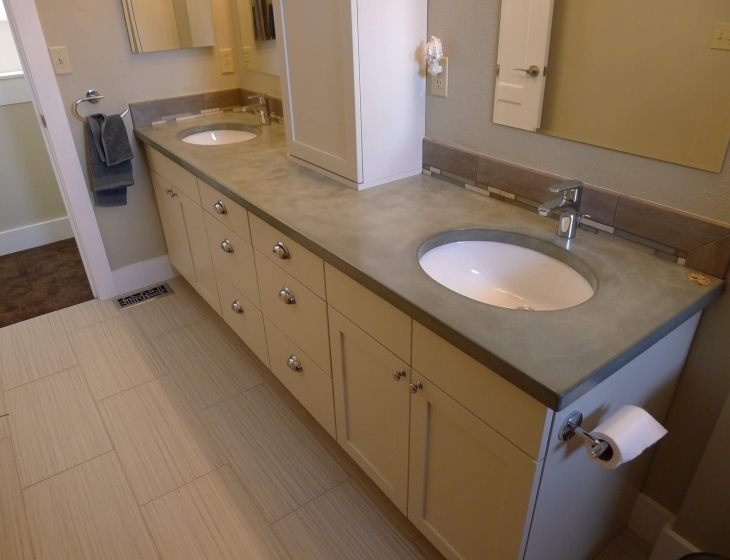 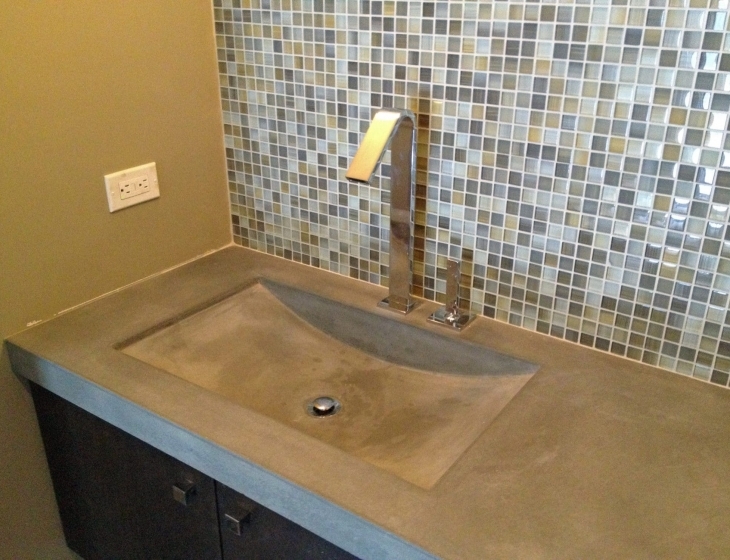 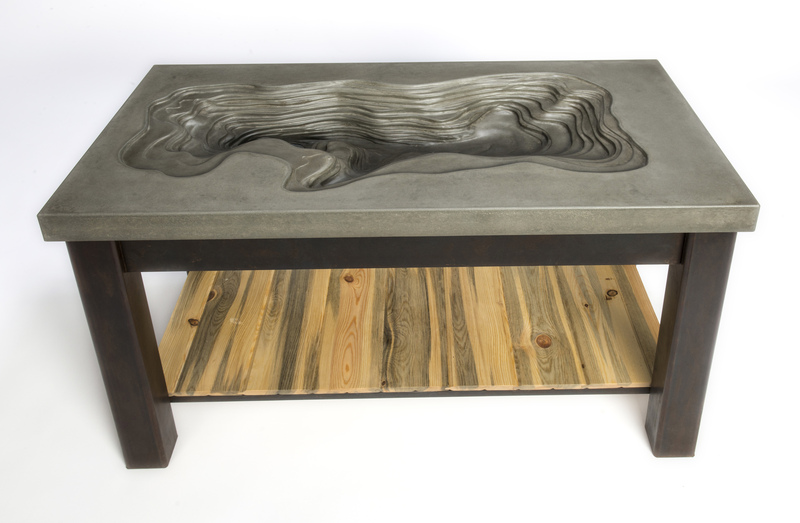 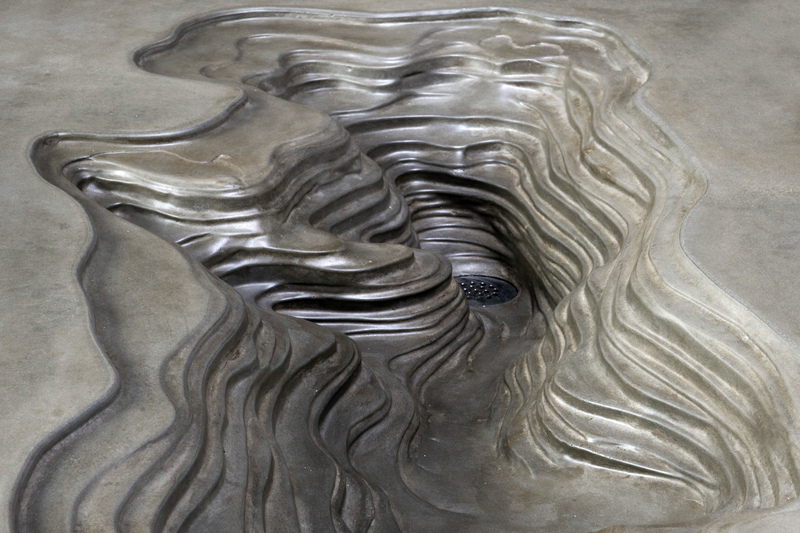 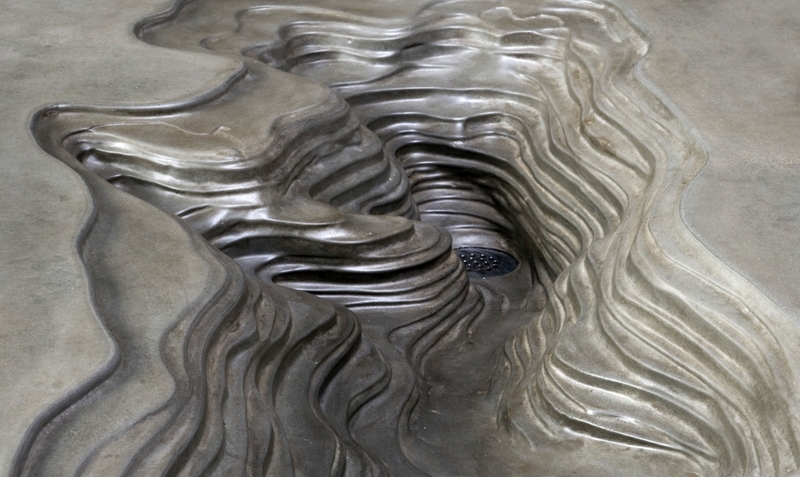 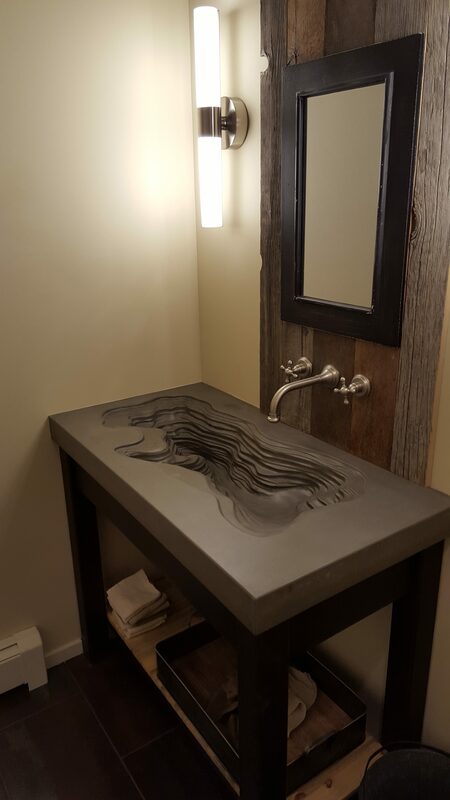 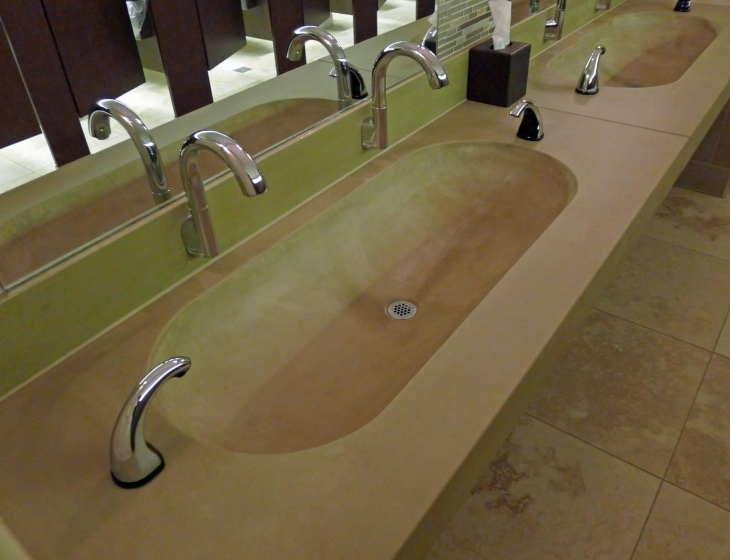 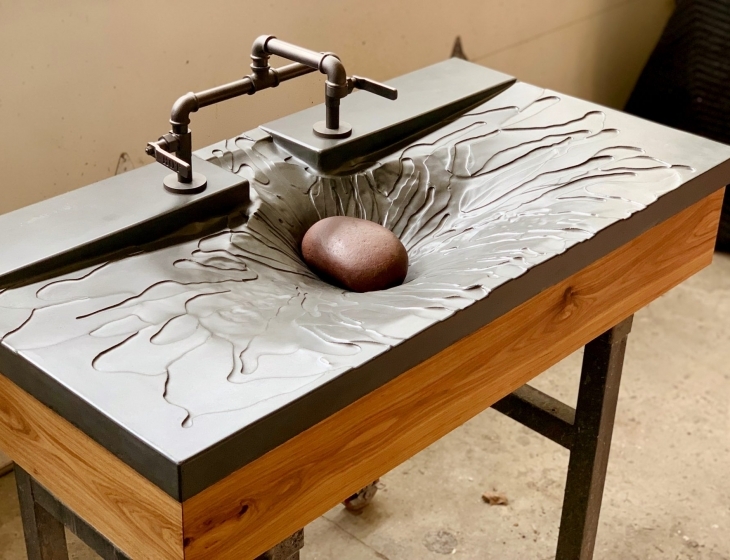 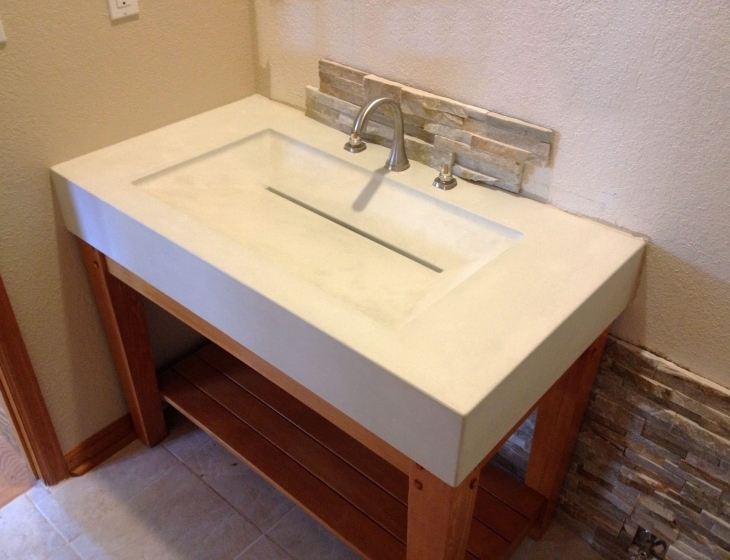 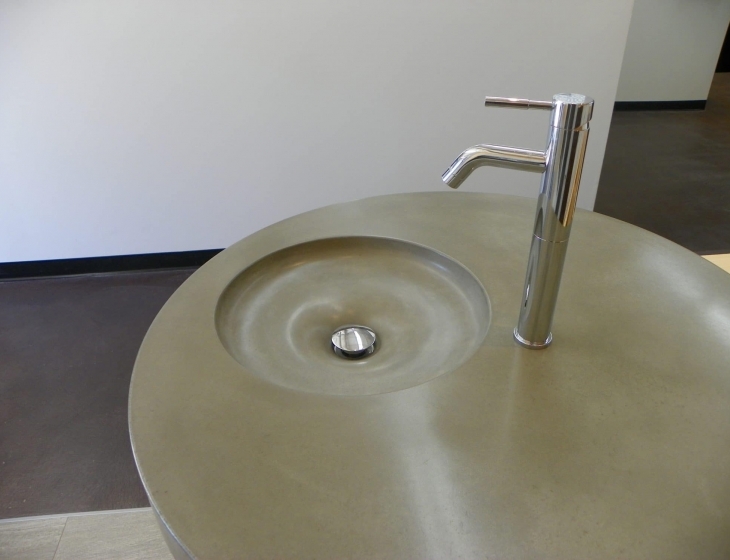 Custom natural grey topographic sink. 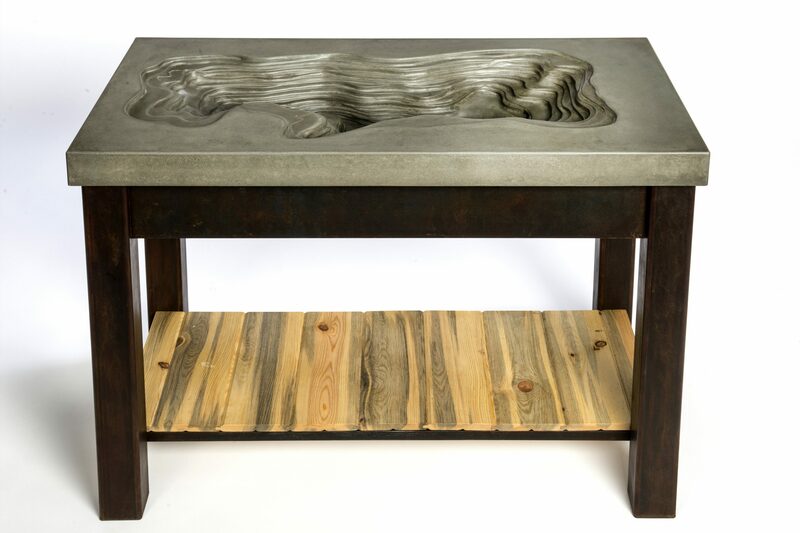 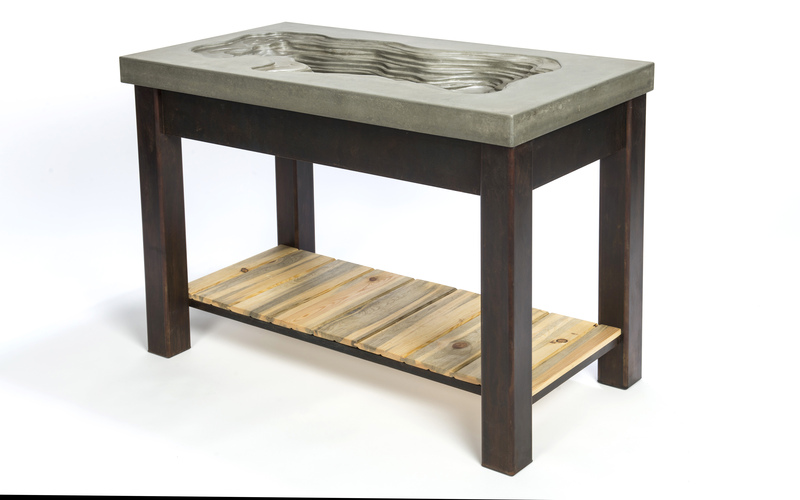 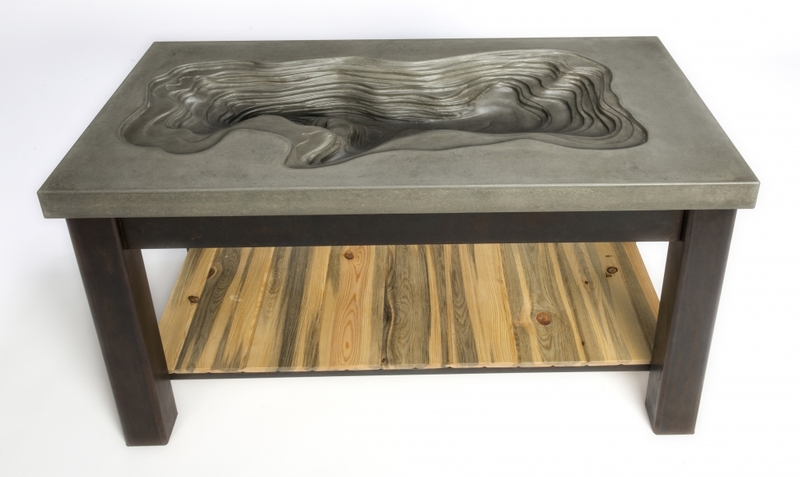 Welded steel base with ‘japanese brown’ metal patina finish. 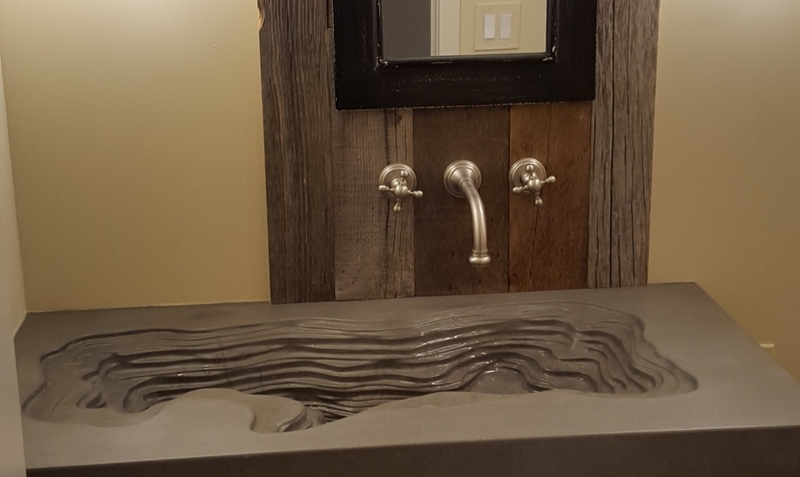 Lower shelf is local Colorado blue stain beetle kill pine.